Victoria Hotspurs Captain Ferdinando Apap is the BOV GFA Player of the Month for March 2019. 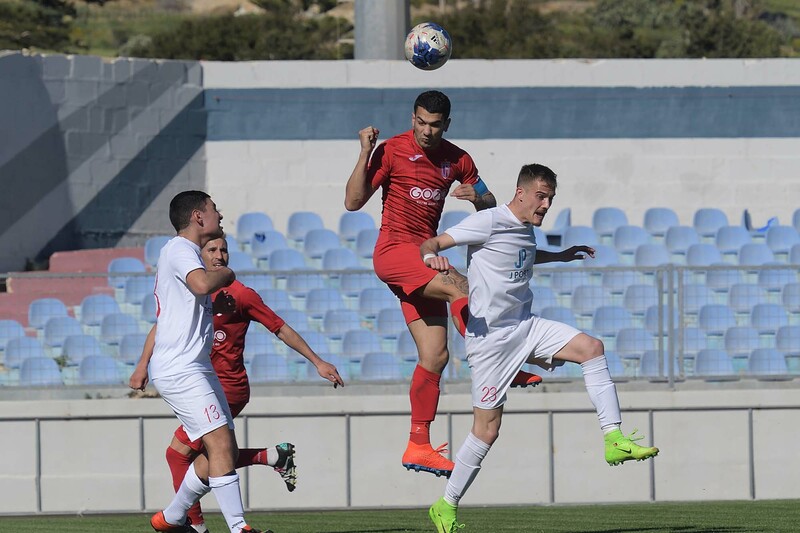 During March, the central defender was pivotal in the Spurs’ holding on to the top position in the BOV Gozo Football League, obtaining maximum points in their 4 matches during March 2019. Victoria ended the second round of the league with two victories over Munxar (2-0) and Ghajnsielem (5-1). The first game of the third round saw Victoria beat Munxar 8-0 with Ferdinando opening the score for his team despite his defensive position, followed by a 2-1 win over Kercem which saw Apap thwart numerous attacks by Ajax. 27-year-old Apap is a master in co-ordinating the Spurs’ defence and this was brought to the forefront during March when they were playing their second goalkeeper due to an injury to the first choice ‘keeper. His versatility makes also makes him deadly in attack, especially in set-pieces where his stature and vertical abilities are definitely an asset. Apap is the first Gozitan player to play for the Malta National Team in 2018 in a UEFA Nations League game and also had a short stint in England. Horace Laudi, Chief Officer at Bank of Valletta presented the BOV GFA Player of the Month trophy for March 2019 to Apap who chose Dar Bjorn to benefit from the donation associated with this award.